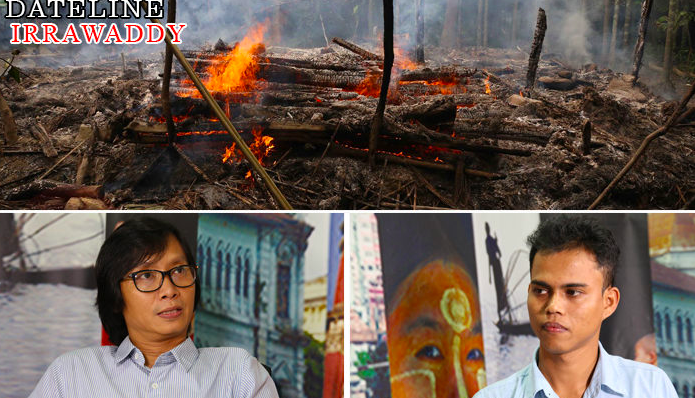 YANGON — Here is a look back to some of the most-read stories published by The Irrawaddy in 2017. The list includes features, opinion pieces and interviews covering the full range of issues confronting Myanmar, from headline-grabbing political intrigues and diplomatic tensions, to development and business affairs, social and gender issues as well as human interest stories about people, places and the arts. It’s been a year that was at different times exhilarating and disheartening, but always fascinating. We trust you found the journey as engaging as we did covering it. Daw Aung San Suu Kyi’s caretaker recalls her time with the democracy icon when she was under house arrest, including the strange visit by the American John Yettaw. A tribe from the foothills of the Himalayas treks nearly two weeks across Kachin State to buy and sell foodstuffs in the Putao market. ‘I’ll impress upon my children the spirit of their father—to be helpful to anyone and to be good citizens,’ said Ma Su Thet Khaing, U Nay Win’s widow. Daw Aung San Suu Kyi remains noticeably silent on human rights issues lately, causing people to question her allegiance to the people. If powerful figures were involved in the killing, the mastermind behind the lawyer’s murder may never be brought to justice. If the internatioal community wants to see a stable Myanmar, it needs to help the government halt the violence in Rakhine and implement Kofi Annan’s recommendations. The misdemeanor of Britain’s foreign secretary is just the tip of the iceberg of bullying of Myanmar by its ex-colonizer. In ‘The World of Women Myanmar’, author Carin Salerno explains the importance of sharing stories by women from diverse ethnic and professional backgrounds. He was ‘a man of high integrity whose main devotion was to make this country more democratic than it is,’ the journalist says about U Ko Ni. Brig-Gen Tun Myat Naing speaks about the conflict between the Burma Army and the Northern Alliance, and China’s role in the peace process. Ma Cho Lei Aung transformed a traditional dessert into a bite-sized piece of nostalgia—her jaggery has become a story of traditional Burmese identity. 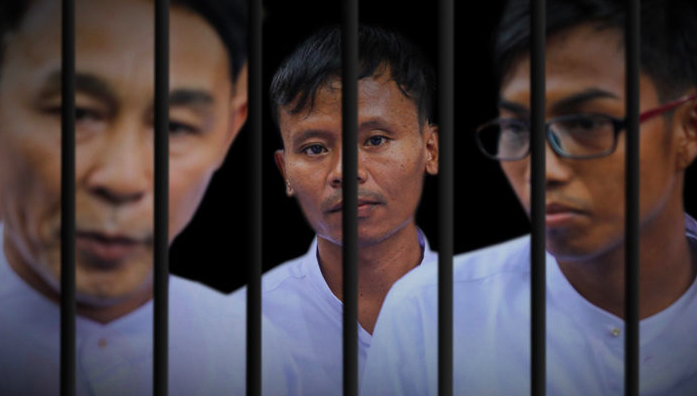 Freed after 67 days in detention, The Irrawaddy looks at the most pivotal moments during the arrest and imprisonment of three journalists. From Mao’s revolution to Belt and Road engagement — A chronology of relations between China and Myanmar from 1949 to today. A resort in Mon State has been popular since the 19th century, but successive governments have failed to clean and develop the beach. Built from sustainable materials and emphasizing play and inclusivity, the Inle Heritage Private School is the first of its kind in the area. Disconnected from their homeland and losing funds for humanitarian assistance, Karen refugees face a tougher existence at a camp in western Thailand. Guides use community-based tourism to help save Karenni State’s waning traditions. 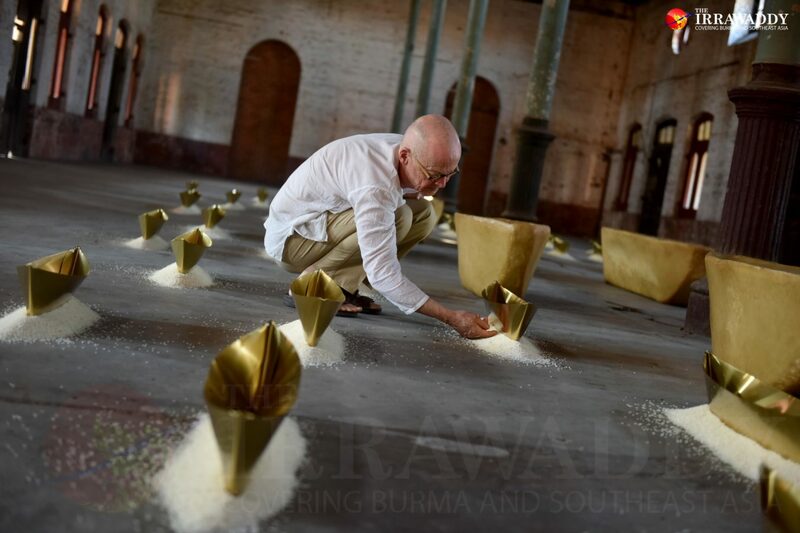 A showing by German conceptual artist Wolfgang Laib is set up in Rangoon’s Secretariat building. Artist Win Tint employs new painting techniques in his sixth solo show. Artists, sculptors, installation artists and photographers showcase work that reflects on political changes in Myanmar over the past decade. Locals fear for the future of a dilapidated but storied manor in northern Shan State. Community music center Gitameit is taking new, bold steps in its efforts to protect and promote music in Burma. Premiering at Yangon’s human rights film festival, the 85-minute movie features shorts by 14 different directors. A Myanmar artist travels to France to share everyday stories of children he has met around the country. On International Women’s Day, we celebrate some of the inspiring private sector business leaders championing inclusivity and diversity. The government is presented with a mammoth struggle to improve gender equality. Community-based groups are educating girls and young women about sexual and reproductive health to decide their own futures. With violence raging in Rakhine State’s Maungdaw District, reporter Moe Myint shares what he saw and heard on a recent trip. Irrawaddy reporters discuss the social and political outlooks for Burma as reflected in politicians’ New Year’s greetings. The Irrawaddy discusses the development of private media and necessary reforms to state-run media. The Irrawaddy discusses the role of Burma’s youth in shaping the political landscape. Myanmar could be a UN success story if the organization appointed effective personnel to the country. Burma faces the challenge of negotiating with its giant neighbor over varied interests stretching from the Bay of Bengal to the Burma-China border. The government was quick to take action against nationalists disrupting Muslim ceremonies, but more needs to be done so Ma Ba Tha is not resurrected.